Santa comes early. RARE EXPORTS lands on DVD & Blu-Ray today! It's going to be a very twisted holiday season. Why? Because just in time for the holiday decorations to go up and Christmas countdowns to begin, Rare Exports (review) is now available on DVD and Blu-ray. I love a well timed release and it really doesn't get much better than this. 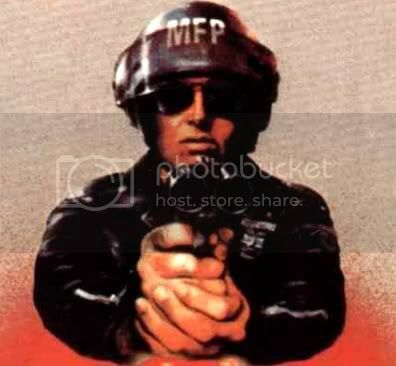 Now, I haven't seen Rare Exports and Agent Orange's review doesn't give away much of the plot but based on the film's R rating, it may not exactly be the movie to share with the kiddies this holiday season but it certainly looks like one for the adults to pop in after the little ones have gone to bed. It's a nicely loaded release but if you're looking for more, you should also check out our interview with director Jalmari Helander. 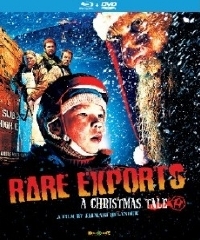 You can pick up your own copy of Rare Exports on Blu-Ray or digitally via iTunes. Trailer, in case you need a little refresher, below. Rare Exports and Santa's Slay has come to represent the start of the Christmas Season for me. Rare Exports was a real let down. Oh well, better luck next time. Loved the seriousness of the hunt(the dropping dried weeds for ranging/wind purposes was top notch).